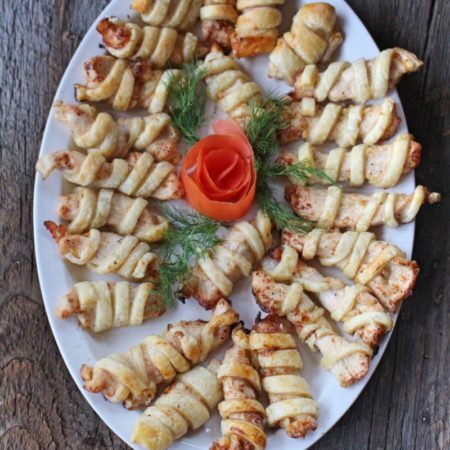 This recipe is called щасливі курячі спіралi in Ukrainian. This recipe is originally from Ukraine and taste great. In our family this recipe disappeared within 5 minutes of being on the table. 1.) Cut your puff pastry dough into strips using a sharp knife. 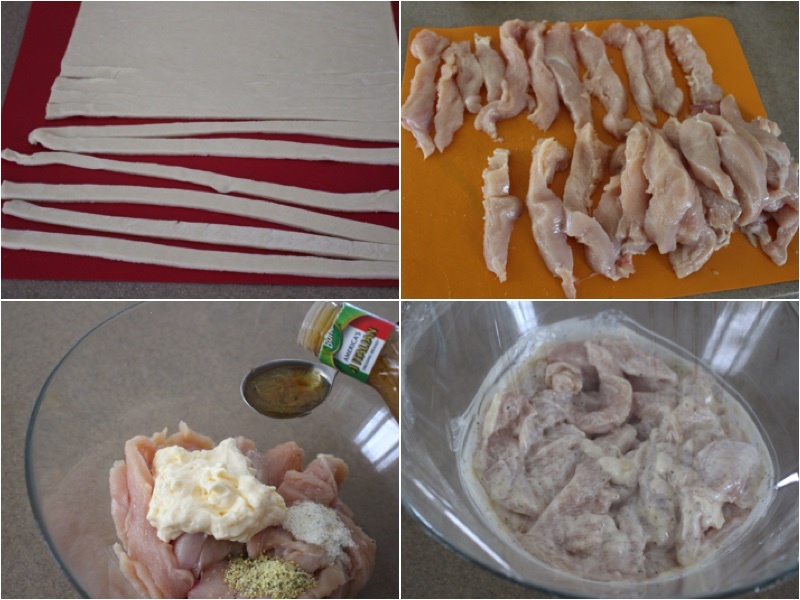 (Make sure they are not to big or to small) Also cut your chicken breasts into strips. Place your chicken breasts into a large bowl. Now add mayonnaise, seasoning and your Italian dressing. Mix well and cover it with plastic wrap. Let it sit for about 2 or 3 hours. 2.) 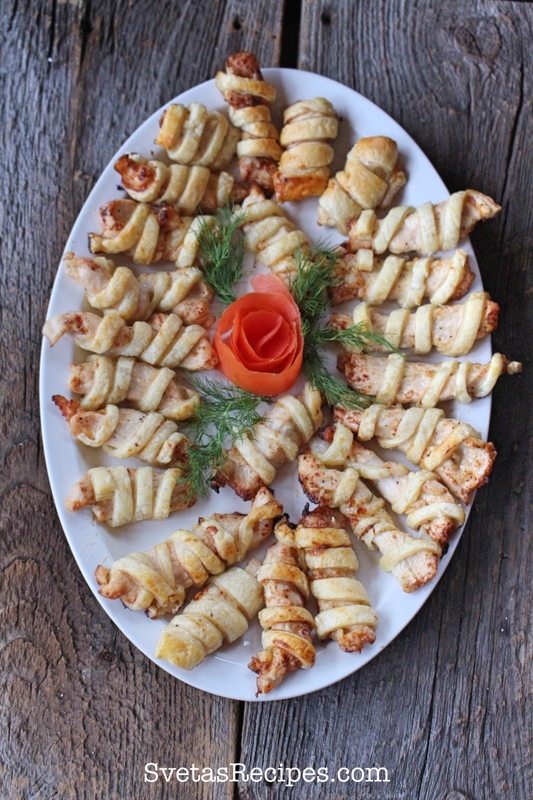 Take pieces of your chicken breasts and wrap your puff pastry dough around them in a spiral. Place it on a pan that has parchment paper played over. 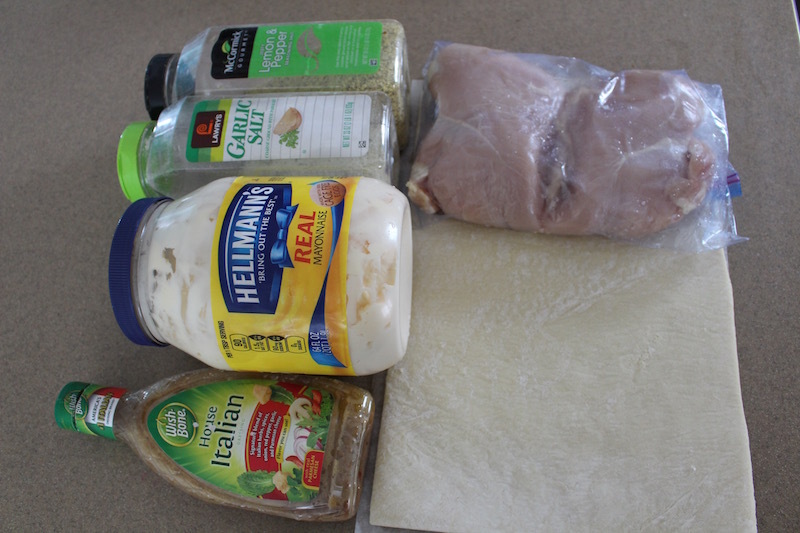 Complete this process with all of your chicken breasts. Preheat your oven to 350ºF, cook for 25 minutes on 350ºF. Take out your pan with heat gloves, let it cool and place on a serving dish. Last but not least enjoy with your guests and family! Cut your puff pastry dough into strips using a sharp knife. (Make sure they are not to big or to small) Also cut your chicken breasts into strips. Place your chicken breasts into a large bowl. Now add mayonnaise, seasoning and your Italian dressing. Mix well and cover it with plastic wrap. Let it sit for about 2 or 3 hours. 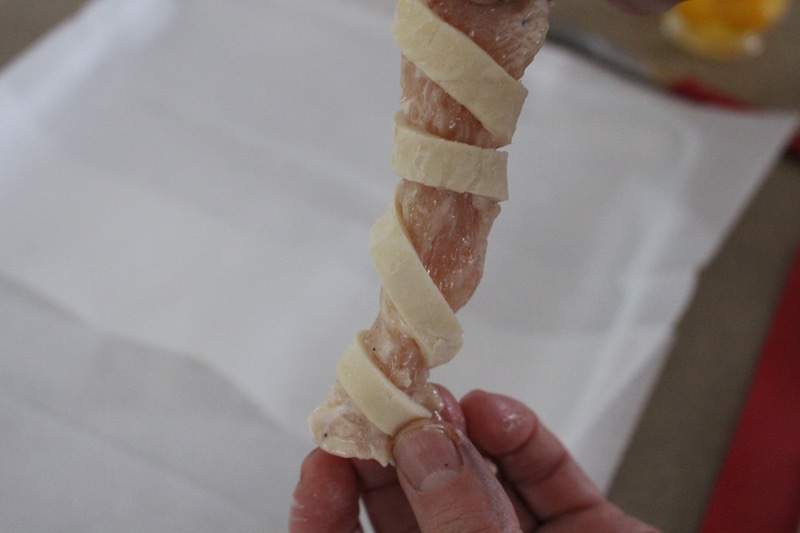 Take pieces of your chicken breasts and wrap your puff pastry dough around them in a spiral. Place it on a pan that has parchment paper played over. Complete this process with all of your chicken breasts. Preheat your oven to 350ºF, cook for 25 minutes on 350ºF. Take out your pan with heat gloves, let it cool and place on a serving dish. Last but not least enjoy with your guests and family!